This tasting event is very special. It is to showcase the project "Wurzelwerk" "ROOT WORK" if you translate it word by word. In a nutshell: The "Wurzelwerk" project attempts at providing an answer to the eternal question: Is wine made in the vineyard or in the cellar? 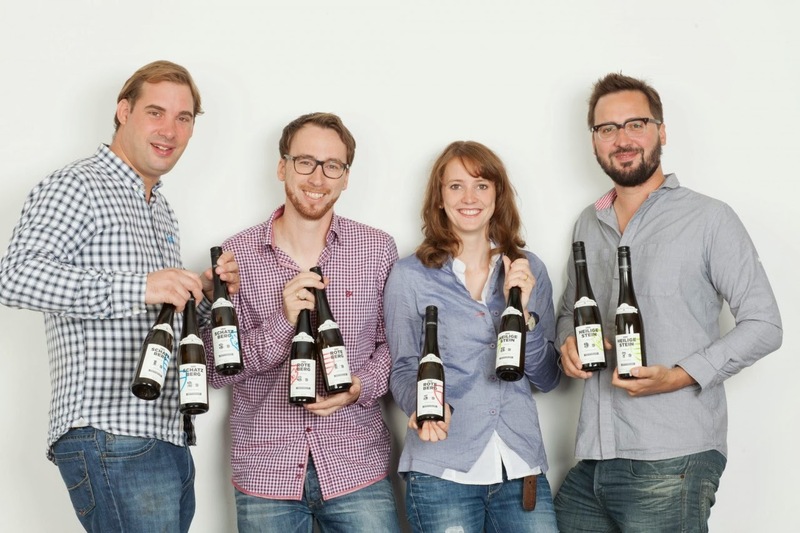 Three world-class Riesling winemakers from Austria and Germany shared a portion of their grapes (first vintage: 2012) grown in their grand cru vineyards among themselves. Each of them vinified the three different base juices according to his respective philosophy and taste. The result was 9 different wines: 1x juice from the Mosel, 1x juice from Rheinhessen, 1x juice from the Kamptal vinified in 3 different wine cellars. You will have the rare opportunity - the first one in the US - to taste all 9 wines, vintage 2012, and to talk to the 3 winemakers about their experience and ideas and why they vinified the wines this way. There is very limited availability of these wines. The case of 9x 0.5l bottles is around USD 630. All three are gifted winemakers, and belong to the young generation of winemakers looking for new challenges. All three of them recently have taken over the prestigious wineries of their forefathers and are thriving to produce wines of the highest quality. It will be extremely interesting to see if the wines from the same source but vinified by three different winemakers are distinctively different or if you can pinpoint the specific terroir. This Wurzelwerk project is talk of the town in Europe and Johannes, Max, and Alwin decided to come to the States to share their ideas and experience with us. For further information, please see the attached invitation by Rudi Wiest Selection, the US importer. A buffet of delicious cheeses, salumi, and savory pastries is included in the tasting. Participation is USD 40 /p.p. incl. tax and tip, payable at the door (checks payable to Rudi Wiest Selection). For me this will also be the first time that I can taste those wines. I am thrilled!! !, in particular since we have fond memories about the Gunderloch winery, going way back to our student days in Mainz, when Christian and I biked to Nackenheim to have some wine and delicious food at their wine tavern. My Germany South tour 2014 (www.ombiasypr.com) will include a visit and tasting at the Gunderloch estate. Hope to see you next Tuesday, and to discuss the question: vineyard or cellar!